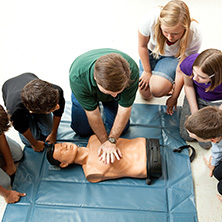 The goal at Links4Life is to make CPR and first aid training and certification easy. 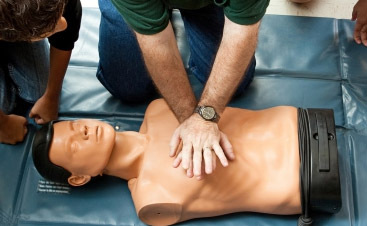 If you are looking to become certified in basic first aid assistance, contact us today, and we will schedule a class that fits your schedule. 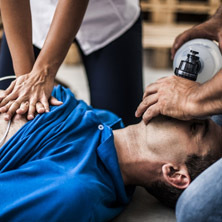 Whether you are a first-time student or are looking to renew your certification, taking a first aid class qualifies you to help those that are in need while following the CPR & ECC guidelines. While taking Links4Life’s first aid certification training, you can expect to interact with others while learning the basics of adult and pediatric life support. This course is designed to highlight the science and guidelines that are necessary for practice and protocol in the healthcare industry when administering first aid to individuals who are in need. This course will take one to two hours a session. 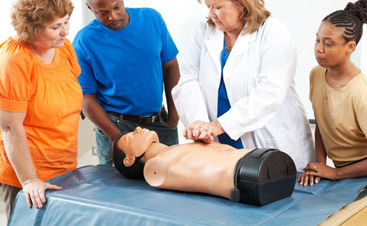 Courses will cover the basics of first aid, including educating medical students how to recognize an injury and how to performing a variety of life-saving skills, such as how to tend to minor wounds, stop bleeding, stabilize broken bones and compound fractures, and the proper techniques to stabilize someone with a head or spinal cord injury, among other training. 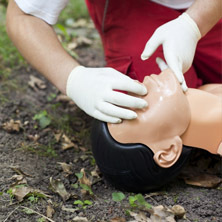 First aid is recommended only when an individual is trained and certified to give the proper care and techniques. Through this course, you must demonstrate the knowledge and skills in team first aid and basic life support for health providers. If you work in the medical industry, you must hold this certification. For further information about the course and what you will be certified to do, contact us today. 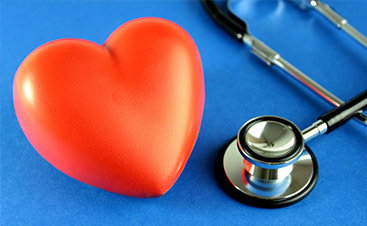 For more information about what our Heartsaver programs offer, or to schedule your session, get in touch with Links4Life CPR Training today. We look forward to helping you become a valuable asset to others in critical situations.